Tonight! ALL NEW T.I. 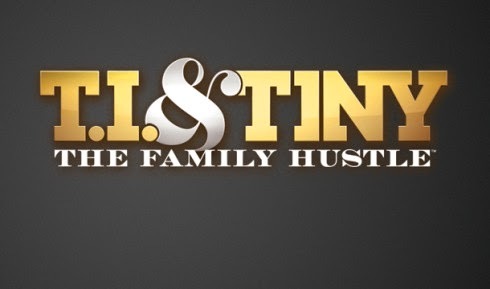 and Tiny: The Family Hustle Season 5 at 9:30PM on VH1 #FamilyHustle ~ Phresh Hott New! On today episode of T.I. and Tiny: The Family Hustle Season 5, “A Major Sport” T.I. & Tiny decide it’s time to introduce athletics into Major’s life as an alternative to video games. In hopes that the boy will make a choice to pursue something of his own liking, T.I. presents 3 very different sports for Major to try first hand. Meanwhile, in an effort to expand her own entertainment company’s brand, Tiny takes a meeting with a social-media comedian that has more than just a meeting in store for her. Look below as T.I. feels that is time for Major to spend less time in the house and more time playing sports. Tune in Monday at 9/8c!